Since its independence in 1991, Kazakhstan has been deeply involved in nuclear issues. Early on, it made history by deciding to renounce its nuclear inheritance. Later, it proved to be a pillar of the nonproliferation regime, campaigning in particular for the end of nuclear tests. 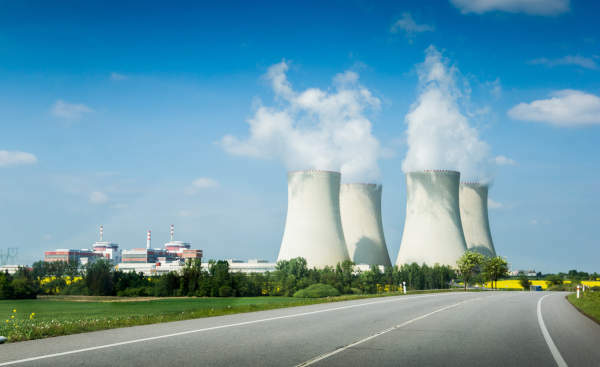 At the same time, the country used the peaceful use of nuclear energy to fuel its economic development thanks to important natural resources. Using the concept of “niche diplomacy”, this article shows that Kazakhstan has chosen to use nuclear diplomacy as a niche. Elaborating on how Astana’s nuclear diplomacy impacts the global nuclear order, this paper addresses the Kazakhstani policies on proliferation, deterrence or peaceful uses of nuclear energy and concludes on how they could evolve to remain meaningful in the future. Depuis son indépendance en 1991, le Kazakhstan a investi sa politique étrangère sur les questions nucléaires. Très tôt, le pays est entré dans l’histoire en décidant de renoncer à son héritage nucléaire. Plus tard, il a réussi à se placer comme pilier du régime de non-prolifération, faisant notamment campagne pour mettre un terme aux essais nucléaires. En même temps, le pays utilise le nucléaire civil pour promouvoir son développement économique grâce à ses importantes ressources naturelles. Se référant au concept de « diplomatie de niche », cet article montre que le Kazakhstan a utilisé la diplomatie nucléaire comme « niche ». Développant en quoi la diplomatie nucléaire menée par Astana impacte l’ordre nucléaire global, il évoque les politiques kazakhstanaises en termes de prolifération, dissuasion et nucléaire civil et conclut sur leurs possibles évolutions pour s’adapter à l’environnement présent. On 29 August 2017, Kazakhstan and the International Atomic Energy Agency (IAEA) inaugurated the he international low-enriched uranium (LEU) Bank Storage Facility in the city of Semey (known as Semipalatinsk until 2007)“IAEA LEU Bank Reaches Milestone with Storage Facility Inauguration in Kazakhstan”, IAEA, 29 August 2017.. The idea of a multilateral approach to the nuclear fuel cycle to prevent the dissemination of sensitive technologies and struggle against the proliferation of nuclear weapons was endorsed by then-IAEA Director General Mohamed ElBaradei as early as 2003. Followed by many propositions and concurrent plans, it is not before 2006 and the offer, made by the Nuclear Threat Initiative (NTI) and billionaire Warren Buffet, of $50 million for the purpose of establishing the Bank that the project gained momentum at the IAEA. As early as April 2009, Kazakhstani President Nursultan Nazarbayev evoked his interest in hosting the IAEA Bank. The IAEA Board of Governors gave its authorization to the project on 3 December 2010. The following five years were dedicated to solving technical and operational challenges and negotiating the host agreementTariq Rauf, “The Long March To An IAEA Nuclear Fuel Bank: Kazakhstan’s Role,” SIPRI, August 27, 2015..
Symbolically, the Bank was established in Semey, a town made famous during the Soviet era for its proximity to the nuclear weapons test range where 456 tests were made from 1949 to 1991, including 456 above the ground. The numerous Kazakhstani victims of the Soviet nuclear tests provides Kazakhstan with an undisputable –although tragic– legitimacy to address nuclear disarmament and nonproliferation on the international stage456 nuclear tests were conducted in Kazakhstan which exposed around 37,200 persons to radiations of more than 350 millisieverts. See Toghan Kassenova, “The lasting toll of Semipalatinsk's nuclear testing”, The Bulletin of the Atomic Scientists, September 28, 2009.. Its advanced involvement in nuclear as a source of energy is another asset to enhance its credibility on this issue. Finally, its choice to yield back to Russia the nuclear arsenal left on its territory after independence is used as a moral high ground from which to express its views on security. Put together, these factors enable Kazakhstan to use nuclear issues as a “niche” and promote its interests worldwide through an active diplomacy set in place by the Kazakhstani government and its President. Kazakhstan is not the only nation known for its activism on nuclear issues. Several other countries, and especially middle size countries, have, over time, tried to influence nuclear international policies while advancing their own interests. Ireland initiated what became the NPT as early as 1958. Brazil led the resistance against the compulsory generalization of the additional protocols of the International Atomic Energy Agency in the 2000s. Austria is today at the forefront of a group of nations lobbying for a convention prohibiting the use of nuclear weapons. But only a couple of countries combine the legitimacy, the capacity, and the willingness to develop a real “nuclear diplomacy”, using it as a form of “niche” to promote their global interests. Kazakhstan is among these states. Its policy in this field encompasses all aspects of nuclear issues: security, but also politics, economy, and energy. It is therefore particularly interesting to determine the tenets of its “nuclear diplomacy” and to understand why it has developed “nuclear diplomacy” as a “niche diplomacy”, how it achieved success, and how its behavior can influence the global nuclear order. The study of Kazakhstan’s nuclear diplomacy will demonstrate that to be effective, nuclear diplomacy requires several types of legitimacy, which can be claimed by state and non-state actors. They will show that this niche is a way to advance security, political, economic interests and to conform with the Kazakhstani identity as a nation. Finally, it will illustrate the role that can be played by a medium-size state on the nuclear order, as bridge-builder and mediator between nuclear weapon states (NWS) and non-nuclear weapon states (NNWS), but also the challenges encountered. Landlocked between major powers Russia and China and with “only” 17 million inhabitants, Kazakhstan is a relatively recent state which tries to have its national identity recognized on the world stage under considerable pressure. On the nuclear order however, it is used to punching above its weight ever since its independence in December 1991. This activism is endorsed by the country’s President, Nursultan Nazarbayev, who almost made it a personal trademark. But it is also relayed, to a lesser degree, by civil society and corporate actors. As part of a global diplomacy aiming at preserving strong relationship with Russia, China, and the United States, nuclear diplomacy is also a key component of the Kazakhstani energy policy. This active policy has led offered the country the opportunity to defend key national interests while benefiting from a positive image on the world stage. The efficiency of this policy must however be slightly nuanced, as is the case for Astana’s foreign policy in general, by its dependency on major powers to guarantee its economic development but also its political and physical survival, and by the current frictions of the global nuclear order. Even since the first explosion in 1949, the Kazakhstani city of Semey has witnessed about 500 nuclear tests, including 200 above the groundThe Soviet Union's Nuclear Testing Programme, CTBTO, <www.ctbto.org>.. Astana has recognized half a million people as officially affected by nuclear testing“Soviet nuclear tests leave Kazakh fallout,” BBC News, September 6, 2009., which made President Nazarbayev say that the “Kazakh people have been through hundreds of tragedies similar to that in Hiroshima”Michael Reiss, Bridled Ambition, Why Countries constrain their Nuclear Capabilities (Washington DC: The Woodrow Wilson Center Press, 1995), p. 139.. This first-hand experience of the effect of nuclear weapons created a profound aversion among the population for all things nuclear. When the reality of the Soviet test program was made public in the wake of the transparency efforts of General Secretary Gorbachev (Glasnost), and that the local population became aware of its health impact, it led to the mobilization of the civil society with the creation in 1989 of the Nevada-Semipalatinsk movement to Stop All Nuclear Testing led by the poet Olzhas Suleimenov. This movement organized demonstrations and protests around the test sites and in Moscow, and circulated a petition that gathered two millions signatures in a few days asking for the closing of the test siteTogzhan Kassenova, “The lasting toll of Semipalatinsk's nuclear testing,” op. cit.. This awareness movement also gained momentum because of the outcry provoked by the nuclear accident in Chernobyl in 1986“Nevada-Semipalatinsk - The Soviet Union's Anti-Nuclear Movement,” An Interview with Almaz Estekov, Eurasia Center, July 1, 1999..
Having hosted Soviet ICBMs and nuclear bombers, Kazakhstan also benefits from a strategic and technical credibility on nuclear weapons. Even if only Moscow detained sensitive information regarding the use of the weapons, the dismantlement of the missiles, management of the contaminated sites and storage of weapon-usable material give it a special experience of issues usually restricted to NWS. Besides, its decision to renounce to the Soviet heritage and to join the NPT as a NNWS was described as exemplary and, in the words of the President, “earned [the Kazakhstani people] the moral right to call on the world to follow our experience”John C.K. Daly, “Kazakhstan Aims to Become a Nuclear Energy Player,” Silk Road Reporters, June 22, 2015.. Concerning the civilian use of nuclear power, Astana’s legitimacy is chiefly built on its status as a leading exporter of uranium and its industrial capacities, which date from the USSR period, and specialize in fuel production. Despite the departure of many Russian experts in the field after the independence, Kazakhstan was able to attract foreign investments to develop this sector and to rapidly train a skilled workforce. Finally, Astana’s credibility is strongly linked to the personality of its leader. Indeed, Nursultan Nazarbayev has established a personal legitimacy on this issue thanks to his early activism against nuclear testing, which was first made public with his appearance in the demonstrations organized by the Nevada-Semipalatinsk movement. This early dedication gave him a strong popularity in his homeland, especially since he has always been consistent, ever since his first act as President of closing the testing site of Semipalatinsk in August 1991, in his public commitment to strengthening the nuclear order. In the earlier moment of its life as an independent country, Kazakhstan had to decide whether its security would be better assured by keeping the Soviet nuclear weapons on its soil or by joining the NPT regime as a NNWS. Given the immediate need to secure international recognition to guarantee the survival of the new state, and thus to accommodate both the Soviet Union and the United States, Nursultan Nazarbayev opted for the latter option in exchange of security assurances from all NWS. Unwilling to become the leader of a “Central Asian North Korea”Togzhan Kassenova, “The Rollback States,” in eds. Tanya Ogilvie-White and David Santoro, Slaying the Nuclear Dragon (Athens, GA: The University of Georgia Press, 2012), p. 99., he founded his country on the principles of multilateralism and international cooperation, and on the assumption that “genuine security rests not on nuclear arsenals, but on peaceful foreign policy, internal stability and sustainable economic and political development of the country”Statement by Yerzhan Ashikbayev, Deputy Minister of Foreign Affairs of Kazakhstan, at the 2015 NPT Review Conference, General Debate, April 27, 2015.. This decision was rational and not exclusively based on moral considerations. It was taken with the firm intent to negotiate as best as possible this renouncement. Apart from the need to secure international recognition, the Kazakhstani leaders were aware that they lacked the skills in what composed at the time their national armed forces to manage such an arsenal. The realist position was therefore to barter it against concrete security assurances – as well as economic supportAnuar Ayazbekov, “Kazakhstan's Nuclear Decision Making, 1991–92,” The Nonproliferation Review, vol. 21, n°2, p. 149-168, October 2014..
That being said, Kazakhstan’s relationship with nuclear deterrence did not totally disappear with the repatriation of the ICBMs to Russia. Its security is still strongly linked to Moscow, via the Collective Security Treaty Organization (CSTO), signed in 1992 and renewed in 2002. On 25 February 2010, the director-general of the CSTO Nikolai Bordyuzha suggested that Russia's nuclear umbrella was extended to the alliance“Russia: The Nuclear Umbrella and the CSTO”, Stratfor, February 25, 2010., in words that were not very different from the official military doctrine lastly updated in 2014The President approved the new edition of the Military Doctrine, 26 December 2014, <http://kremlin.ru/events/president/news/47334>.. Since it is never evoked in an official and open manner, it is difficult to know if the government in Astana recognizes the existence of this nuclear umbrella and its value. But it is certain that some have wondered at the lack of coherence of states who promote the Central Asian Nuclear-Weapon-Free Zone Treaty and yet are allied to a major nuclear power whose strategy might integrate extended deterrence“Nuclear umbrellas and nuclear umbrella states”, ILPI, Resources, <http://nwp.ilpi.org/?p=1221>.. As it is, Kazakhstani representatives are usually discreet when it comes to extended deterrence and do not public denounce it as a hindrance to non-proliferation and disarmament. Besides, Kazakhstan still leases to its northern neighbor the missile testing ranges of Sary Shagan and Kasputin Yar (as well as the Baikonur Cosmodrome), where the Russian Strategic Forces regularly test components of their nuclear arsenal, which illustrates a certain tolerance for the NWS’s nuclear status. This situation can logically be explained by the economic benefits that Kazakhstan derives from the rent, since the country used to reap $24 million a year from the various rents to Russia. This amount was reduced to $16.276 million in 2016 following the return of some strips of lands no longer used by Russia to the Kazakhstani government, a decrease that was criticized by the Kazakhstani Senate. The agreement with Russia will be up in 2020, when the two governments will have to decide whether they want to renew the lease or let Astana retrieve the test sites after an agreed-upon clean-up“Joshua Kucera, “Kazakhstan MPs Want to Raise Russia's Rent For Military Sites,” Eurasianet.com, February 16, 2016.. If renewing the lease seems incompatible with a rigorous condemnation of nuclear deterrence, it is however the likeliest option since no official voices have spoken against it. Generally speaking, to preserve its political autonomy, Astana’s main foreign policy objectives are to stay on good terms with Russia, China and the West, which at times require an especially careful and agile diplomacy. The negotiations leading to the dismantlement of the ICBMs gave Kazakhstan a special importance in the eyes of the United States, which dedicated a lot of time and resources to organize the operations, but also of Russia in a time of delicate transition. Its successful endeavors to be a party to the START Treaty was another way to assert its sovereignty and to gain political importanceAnuar Ayazbekov, “Kazakhstan's Nuclear Decision Making, 1991–92”, op. cit.. The country’s continued commitment to non-proliferation and nuclear security still makes it an important partner for major powers and gives it some influence. For a relatively small country like Kazakhstan, this political clout can be measured by the number of one-to-one meetings with major powers, the reception of its leaders by Ministers and Head of States during visits, in particular in the United StatesNursultan Nazarbayev was the first President from Central Asia received by President Trump, in January 2018. See “Remarks by President Trump and President Nursultan Nazarbayev of Kazakhstan in Joint Press Statements,” White House, January 16, 2018., the ability to be considered by international and foreign bureaucracies with important multilateral or bilateral initiatives, and to appear as a regional leader. This importance does not only translate into increased prestige but also into real political capital that can enable Kazakhstan to promote its various interests by taking advantage of the fact that it has direct access to the major powers decision-makers and is offered to speak out on influential podiums. Economically speaking, Astana nurtures four main ambitions regarding nuclear energy: becoming the world largest uranium producer (achieved in 2011 with 41 percent of mined uranium), supplying nuclear fuel, producing electricity through a national nuclear program, and eventually selling reactors in cooperation with RussiaTogzhan Kassenova, “Kazakhstan's nuclear ambitions,” The Bulletin of the Atomic Scientists, February 28, 2008.. These economic interests require major foreign investments and an integration in international trade. They also necessitate a respect of global norms, a reputation of respectability and of skill, which are at the roots of the efforts of exemplarity deployed by the country. Historically, economic factors influenced Kazakhstan’s decision to forgo the nuclear military option, and deals between Astana and Washington were signed in this context. Thanks to their diplomatic efforts, the Kazakhstanis obtained 84 million dollars in dismantlement assistance, 200 million dollars in economic investment from 1993 to 1996, and a tripling of U.S. economic assistance, all relating to the repatriation of the arsenalMichael Reiss, Bridled Ambition, Why Countries constrain their Nuclear Capabilities, op. cit.. In 2006, the House of Representative saluted the outstanding cooperation of the Kazakhstani government in implementing the Cooperative Threat Reduction (CTR) program and in 2008, two Congressmen proposed the name of President Nazarbayev for the Nobel Peace Prize, a nomination also considered by Japanese Representatives in 2012Joshua Kucera, “Two US Congressmen Think Kazakhstan's President Deserves a Nobel Peace Prize,” Eurasia.net, July 2, 2008 and Renat Tashkinbayev, “Japanese deputies nominated Nazarbayev for Nobel Peace Prize,” Tengri News, August 29, 2012.. This recognition and positive depiction is essential for a leader who is preoccupied by giving a favorable image of his country and his own person and counterbalancing the criticism associated with human rights violations, corruption, and a poor democratic recordAriel Cohen, Kazakhstan: The Road to Independence, Energy Policy and the Birth of a Nation (Washington DC: The Central Asia-Caucasus Institute, 2008), p. 32.. If personal acclaim – both domestically and abroad - is not the only motivation of President Nazarbayev’s nuclear diplomacy, he clearly perceives the identification of his country as a norm-abiding and constructive actor on the international stage as a national interestGraham T. Allison, Introduction to Epicenter of Peace. (Hollis, NH: Puritan Press), February 1, 2002.. This perception and this “national identity conception”Jacques Hymans, The Psychology of Nuclear Proliferation: Identity, Emotions and Foreign Policy (New York: Cambridge University Press, 2002). is shared by the population who takes pride in the position adopted by its government in favor of disarmament and non-proliferationJillian Keenan, “Kazakhstan's Painful Nuclear Past Looms Large Over Its Energy Future,” The Atlantic, May 13, 2013..
As might be expected given the historical traumas left by Semipalatinsk, an important part of the country’s nuclear diplomacy is dedicated to the struggle against nuclear testing. As a state party to the CTBT, it built an International Training Centre on seismic activities in Almaty and was the host of a major on-site exercise in 2008, one of two such exercises organized by the Secretariat since its creation. In 2015, the Kazakhstani Foreign Minister Erland Idrissov and the Japanese Foreign Minister Fumio Kishida co-chaired a conference held on the sidelines of the UN General Assembly to facilitate the CTBT’s entry into force. On this occasion, the Secretary Lassina Zerbo mentioned the special role that the two countries, because of their specific history, could play in promoting the implementation of the CTBT, stating that “Kazakhstan has a moral responsibility with regard to leading the CTBT closer to its entry into force”Seana K. Magee, “Japan, Kazakhstan urged to lead push for global nuclear test ban,” The Japan Times, September 23, 2015.. In December 2017, Kazakhstan committed to set up a new facility to monitor radionuclides, in cooperation with CanadaAlmasbek Bekzhumadilov, “Kazakhstan, Canada to cooperate to strengthen CTBT,” The Astana Times, December 2, 2017..
At the UN, it successfully lobbied in favor of the creation of an International Day against Nuclear Tests, officially set on August 29 by the General Assembly Resolution 64/35Togzhan Kassenova, “The Rollback States”, op. cit.. See the UN General Assembly Resolution 64/35, December 2, 2009, “International Day against Nuclear Tests.”. Through the Nazarbayev Foundation, it sponsored the NGO “The Atom (Abolish Testing. Our Mission) Project”, which set itself since 2012 “leading the fight against nuclear testing” and is promoting a petition for a world free of nuclear weapons which has to this day received 312 387 signatures (June 2018)See the website <http://www.theatomproject.org/100K/>..
Because of its status of NNWS but also of its close links with NWS, Kazakhstan sees itself as a potential mediator between both group of states, a “bridge-builder”Robert Guttman, “A Successful Strategic Partnership,” Transatlantic Magazine, February 11, 2013., able to strike compromises by promoting the importance both of non-proliferation and disarmament. On disarmament, its traditional strategy was to keep a realistic perspective by focusing on issues such as the CTBT, the Fissile Material Cut-off Treaty, and bilateral arms control negotiation. Unwilling to offense its powerful partners, the government avoided until recently to commit itself in favor of a convention banning nuclear weapons, even if the crisis in Crimea pushed it to increase its criticism against the lack of progress of the NWS in reducing their stockpiles and upholding their security assurances to country having renounced their nuclear arsenals, namely Ukraine and Kazakhstan. With the NPT Review Conference in 2015 and the momentum gained by the Humanitarian initiative, this position evolved slightly with a greater emphasis on the need for the NWS to respect their disarmament commitments. Following the conference, the government made the decision to back the Humanitarian pledge, which received the support of the UN General Assembly Resolution 70/48UN General Assembly Resolution, 70/48, December 7, 2015, “Humanitarian pledge for the prohibition and elimination of nuclear weapons”. In September 2015, Nursultan Nazarbayev defended a Nuclear-Weapons-Free World Declaration at the General Assembly, initiative that was later formally adopted in DecemberUN General Assembly Resolution 70/57, December 7, 2015, 70/57, “Universal Declaration on the Achievement of a NuclearWeapon-Free World”.. This declaration was the fruit of five years of diplomatic work for the Kazakhstanis who first mentioned it in 2010 during the Nuclear Security Summit and managed to gather support among various delegations who agreed to co-sponsor itSadyk Karim, “FM Idrissov: The World Supports a Vision of a Nuclear-Weapons-Free Planet,” The Astana Times, February 20, 2016.. During his speech, the President linked this ambition to his 2045 Global Strategic Initiative Plan, a plan that would eradicate by 2045, a century after the creation of the United Nations, the threat of war by promoting security, development but also the elimination of nuclear weapons worldwideAddress by His Excellency Nursultan Nazarbayev, President of the Republic of Kazakhstan at the opening debate of the 70th session of the UN General Assembly New York, September 28, 2015..
To encourage disarmament, Kazakhstan insists on the fact that security doctrines based on nuclear weapons must be blamed for instances of proliferation. For the government, the twenty-odd nuclear threshold states could opt for developing full-fledge capabilities if the NWS continue to prove the value of these weapons by investing heavily in their modernization“Nazarbayev: nuclear-weapon states should set example in arms reduction”, Vestniz Kavkaza, March 2, 2016.. Besides, as early as 2006, President Nazarbayev indicated his conviction in the obsolescence of nuclear weapons, stating that “The obsolete concept of achieving security through mutual nuclear deterrence between rival states has been fully proven to be archaic”Sadyk Karim, “FM Idrissov: The World Supports a Vision of a Nuclear-Weapons-Free Planet,” op. cit..
Logically, the country was therefore very involved in all the process to adopt a norm stigmatizing nuclear weapons. During the negotiation leading to the adoption of a Treaty for the Prohibition of Nuclear Weapons, Kazakhstan played an active role with a number of statements pronounced during the diplomatic gatherings and a willingness to include in the core interdictions of the Treaty the prohibition of subcritical tests and of transit of nuclear weaponsNuclear Ban Treaty Daily, Reaching Critical Will, vol. 2, n° 13, July 6, 2017.. Although those elements were eventually left out of the final version, Astana signed the Treaty on March 2, 2018J. Nastranis, “Kazakhstan Signs Ban Treaty After Security Council Debut,” In Depth News, March 5, 2018 .. The process for ratification has been launched shortly after“Iran Not to Forget Kazakhstan’s Role in Nuclear Deal: Zarif,” Tasmin News Agency, February 7, 2016 ..
On the proliferation side, Astana also favors an active policy. With regards to the Iranian nuclear crisis, it attempted to play the role of a mediator between the P5+1 and Iran by providing location for the initial talks in 2013, which led to the Geneva agreement in November 2014. This role was acknowledged at a meeting between officials of the two countries in February 2016, during which Iranian Foreign Minister Zarif stated that Teheran does not “forget the role that Kazakhstan played in gaining diplomatic achievements of the (Iranian) peaceful nuclear case”Statement by the delegation of the Republic of Kazakhstan at the General debate of the Second session of the Preparatory Committee for the 2020 Review Conference of the Parties to the Treaty on the Non-Proliferation of Nuclear Weapons, Geneva, April 24, 2018., but also by the United States. In December 2015, Secretary of State John Kerry remarked that Kazakhstan was also helpful in the implementation of the deal, “providing some of the natural uranium material that Iran has received in exchange for its enriched material, and helping to facilitate the shipment.” John Kerry remarked that this contribution “builds on its hosting of early rounds of the P5+1 talks that led to the successful conclusion of the JCPOA”, and mentioned that he “spoke with Foreign Minister Idrissov [on December 28, 2015] to convey the thanks of the United States for all of these efforts”John Kerry, “An Update on Progress Toward Implementation Day of the JCPOA,” Press Statement, December 28, 2015..
As a founding member of the CANWFZ, it participated in the extension of IAEA additional protocols in the region and consistently supports their universalizationStatement by the Deputy Minister of Foreign Affairs of the Republic of Kazakhstan Yerzhan Ashikbayev at the NPT Review Conference, April 28, 2015.. One of its major successes in this domain is the designation, in June 2015, of the Ulba Metallurgical Plant, in Oskemen, as the location of the IAEA international fuel bank of low-enriched uranium, an initiative designed to reassure states choosing not to develop enrichment capacitiesAlexander Nitzsche, “IAEA Moves Ahead on Establishing Low Enriched Uranium Bank in Kazakhstan,” IAEA, June 11, 2015.. The IAEA LEU Bank, a project that has been approved by the Board of Governors in 2010, made a major breakthrough on 27 August 2015 with the signature of a Host State Agreement between the IAEA and KazakhstanMiklos Gaspar, “IAEA and Kazakhstan Sign Agreement to Establish Low Enriched Uranium Bank,” IAEA Office of Public Information and Communication, August 27, 2015. and was inaugurated on 29 August 2017. While the IAEA is in charge of procuring LEU (which should be completed by 2018, Kazakhstan carried out the building of a new storage facility building by the Ulba Metallurgical Plant in Öskemen“IAEA LEU Bank Reaches Milestone with Storage Facility Inauguration in Kazakhstan,” op. cit.. The Agency and Kazakhstan worked jointly to make sure that this building meets the high safety and security standards and is properly designed for its purpose. Finally, the IAEA has also been working with third parties to insure that the transport of LEU and related equipment is possible to and from the Bank. As early as June 2015, the IAEA and Russia signed such a Transit agreementAabha Dixit, “IAEA and Russia Sign Transit Agreement for IAEA Fuel Bank,” IAEA Office of Public information and Communication, June 18, 2015.. A similar agreement was signed with China in April 2017Laura Gil, “IAEA and China Sign Transit Agreement for LEU Bank,” IAEA Office of Public information and Communication, April 10, 2017..
For the Kazakhstani government, the LEU Bank is an opportunity to prove that it possesses a stable and reliable nuclear industry, that its commitments towards non-proliferation are robust and therefore to attract more investments from abroad to modernize the sector. With various cooperation agreements and especially a strong partnership with Russia, Astana, through its leading and state-owned firm Kazatoprom is indeed reinforcing its position in uranium production, but also fuel manufacturing. While a conversion plant should be built in cooperation with the Canadian Cameco by 2018 and start operating in 2020, the Ulba Metallurgical Plant is already a major producer of fuel pellets. The company, own by Kazatoprom, is willing to develop its activities in the frontend of the fuel cycle. This ambition should be made especially possible thanks to a major extension of the plant designed in cooperation with ArevaUranium and Nuclear Power in Kazakhstan, <http://www.world-nuclear.org>, Updated June 2018..
Kazakhstan is also working to exploit nuclear electricity in the near future. Two projects are presently being examined. In cooperation with the Russian firm Rosatom, Kazatoprom could open a VVER nuclear power plant, from 300 to 1200 MWe capacity, near the city of Kurchatov, in Eastern Kazakhstan. A draft intergovernmental agreement was signed in September 2014 detailing the conditions of construction. In January 2015, the Ministry of Energy implied that a second reactor could also be built if needed in Balkhash (center of the country). This second reactor would in all probability be a Westinghouse AP1000 sold by the Japanese firm Toshiba. Official announcements for these projects had still not be made, as Kazatoprom is completing a feasibility study for the end of 2018Ibidem.. The energy programme receives limited support from the civil society, and the public is especially weary of the environmental impact of the new installationsTogzhan Kassenova, “Kazakhstan's nuclear ambitions,” op. cit.. The governmental answer to these protests is an increase in nuclear safety and security. It has received praise for its openness in the implementation of the CTR, which, thanks to an investment of more than 240 million dollars of the US governmentRelations With Kazakhstan, Bureau of South and Central Asian Affairs, Fact Sheet, State Department, February 8, 2016., enabled the “complete elimination of weapons of mass destruction; removal and destruction of more than 1,000 nuclear warheads and their delivery systems; destruction of 148 silos; dismantling of infrastructure of the former Semipalatinsk war landfill; completion of the “Sapphire” project [removal of fissile material]; ​​conversion of the military industry; [creation of] a modern system of export control of dual-use products; and transportation of spent nuclear fuel of the BN-350 reactor to a safe storage”Nunn Lugar Program, Permanent Mission of the Republic of Kazakhstan to the United Nations Office and other International Organizations at Geneva.. Kazakhstani leadership has also been saluted during the Nuclear Security Summits (NSS) and President Obama even evoked “the outstanding leadership of President Nazarbayev and the people of Kazakhstan” in this domainBarack Obama, “Remarks by President Obama, President Medvedev of Russia, and President Nazarbayev of Kazakstan at Trilateral Announcement”, Seoul, March 27, 2012.. Having participated to all three NSS, Kazakhstan also hosted a Sherpas meeting in Almaty to prepare the 2016 Summit on 2-4 November 2015“The National Coordinators Meeting took place in Almaty for the preparation of the 4th Global Nuclear Security Summit,” Institute of Nuclear Physics of Ministry of Energy of the Republic of Kazakhstan, December 10, 2015.. Finally, the promotion of the image of the country and of its leader is pursued through attempts to gather symbolic or institutional recognition. In the wake of the fuel bank, Kazakhstan has formally made a bid to host the next Nuclear Security Summit and has recently organized in Astana the Pugwash Conference on Science and World Affairs in 2017, the International Physicians for the Prevention of Nuclear War (IPPNW) World Congress in 2014 and an International Anti-Nuclear Conference in 2012. From 2016 to 2017, Astana also assumed the chair of the Hague Code of Conduct against the proliferation of ballistic missiles (HCOC). Lastly, its long-standing endeavors to gain a seat to the IAEA Board of Governors“Kazakhstan hoping to join IAEA Board of Governors,” Tengrinews, November 28, 2013. echoes its campaign for a non-permanent seat on the Security Council for 2017-2018, race that was won by Kazakhstan against Thailand. The link between the nuclear diplomacy of Kazakhstan and the seat to the Security Council was clearly made in 2015 during the NPT Review Conference, during which the Kazakhstani representative stated that “the global process of non-proliferation and disarmament and the multilateral approach to resolving global security issues […] will be high on our agenda if we gain a non-permanent seat on the Security Council for 2017-2018”Statement by the Deputy Minister of Foreign Affairs of the Republic of Kazakhstan Yerzhan Ashikbayev at the NPT Review Conference..
As a niche, this diplomacy has been rather effective for Kazakhstan in the first twenty years of its existence as a state. Not only did it contribute to the acquisition of security guarantees and to its initial recognition as an independent state, but it definitely increased its leverage and prestige on this international scene. As an example, it can be assumed that without it, President Nazarbayev probably would not have met as often with American Presidents. Kazakhstan’s nuclear diplomacy may have been a factor in its election to the UN Security Council in June 2016. Eventually, it played a substantial role in its economic development at the onset and still does with about 25,800 persons working for Kazatoprom todayKazatoprom, Integrated Annual Report 2016., and a revenue of 1.87 billion dollars in radiochemical exports (including natural uranium exports) in 2016Observatory of Economic Complexity, Kazakhstan, accessed June28, 2018.. This policy has also been instrumental in shaping a Kazakhstani national identity, in the first years after the creation of the independent country. Regarding nuclear-testing, disarmament and non-proliferation, the population and the government internalized their preference for a nuclear-free world. This was recalled by the ambassador to the United States Karait Umarov, who affirmed that “for Kazakhstan, a nuclear weapons-free future is not just a slogan. It has always been at the core of our national identity building”Tom Michael, “Establishing Int’l Uranium Bank, Helping Nuclear Deal in Iran Latest Kazakh Contributions to Global Security”, Edge Kazakhstan, July 15, 2015.. Not only can Kazakhstanis take pride in their efforts for bringing around what they perceive as a more peaceful future, but they can also enjoy the congratulations and testimony of recognition of foreign governments which can only increase their conviction in their own self-righteousness and importance. Hillary Clinton gave proof of this recognition when she declared in 2012 that the United States “view[s] Kazakhstan not only as a regional player, but also as a global leader” and estimated that “few countries can be compared to Kazakhstan in terms of its experience in non-proliferation”“Hillary Clinton thanked Kazakhstan for working with IAEA on creation of nuclear fuel bank,” Tengrinews, October 8, 2012.. The results of the civilian nuclear policy on the formation of a national identity is probably more ambivalent, because of the mistrust of the civil society for all things nuclear“Tom Parfitt, “As memories of Soviet tests fade, Kazakhstan looks to nuclear future,” The Guardian, December 1, 2010.. However, as we have seen, the government tries to reassure its citizens and to show its consistency by adhering to high standards in nuclear safety and security. Besides, even if the fear of the population for nuclear hazards is genuine, there is no strong and independent civil society in the country to voice these concerns and efficiently oppose the governmental projects“Civil society profile: Kazakhstan, State of Civil Society, CIVICUS World Alliance for Citizen Participation, 2011.. Finally, the obvious economic benefits of this policy have the potential to assuage most doubts among the public. Given the current development of nuclear energy worldwide, this policy is bound to remain effective for the coming years, especially if the announced plans of extending the industrial uranium chain of value in the country and of building power plants and relying on nuclear energy come to fruition. The evolution of the global nuclear order may however have a damaging role on Kazakhstan’s nuclear diplomacy. First, the divisions between NWS and NNWS have become even sharper with the adoption of the Ban Treaty, and Astana may find it even more complex to find common grounds between the two sides and to put forward acceptable initiatives which may not be only easily-agreed upon empty verbiage but have a concrete and constructive impact. This difficulty was made obvious during the 2015 NPT Review Conference, which ended in a failure, and showed apparently irreconcilable differences between states on the question of disarmament. While the 2010 NPT Review Conference had promoted a step-by-step approach to the implementation of Article VI of the NPT, which gave an opportunity for some states to play an intermediary role and find concrete solutions agreeable to all, the 2015 edition saw a profound divide between the NWS and their allies, willing to preserve the approach adopted in 2010 despite its limitations, and an increasing group of NNWS convinced that the incremental process had showed its deficiencies and had to be replaced by a radical approach centered around a new norm banning nuclear weapons. In this context, Kazakhstan, like other states usually following a middle-of-the-ground approach, finds it more difficult to play a constructive role as a bridge-builder. The working papers it contributed to, on the CTBT, uranium mining and the Central Asia Nuclear-Free Zone, seemed to illustrate a willingness to avoid the most confrontational stakes. The same can be said with regards to the hesitation of the government concerning the signature of the Humanitarian Pledge. Because of a preference for consensus-building and working with the confidence of both NWS and NNWS, but also because of its specific security arrangement with Russia, Kazakhstan used to refrain from language calling for radical steps such as the prohibition of nuclear weapons.See for instance the Statement by H.E. Ambassador Kairat Abdraki1manov, Permanent Representative of the Republic of Kazakhstan at the General Debate of the First Committee, 71st session of the United Nations General Assembly, New York, October 3, 2016. “We believe that it is necessary to demonstrate further concrete and bold steps as soon as possible to achieve our noble goal of building a nuclearweapon-free world. At the same time, prudence must be exercised not to jeopardize international”. But the failure of the conference and the difficulty to predict in the foreseeable future a context favorable to compromises between the two groups pushed it to adopt the Humanitarian Initiative’s principles and demands, in order to display its solidarity with the states favoring disarmament and prove its commitment to a nuclear-free world, in coherence with its well-publicized pro-disarmament identity. This was expressed most recently at the UN General Assembly where the Kazakhstani representative stated that “Kazakhstan is calling for negotiations for a Comprehensive convention on nuclear weapons, which would prohibit and eliminate nuclear weapons within a specific timeframe in an irreversible and verifiable manner”Remarks by Mr. Yerbolat Sembayev, Ambassador-at-Large, Ministry of Foreign Affairs of the Republic of Kazakhstan, at the Open-ended Working Group on nuclear disarmament, Geneva, May 12, 2016.. This new posture led to its participation in the Ban Treaty negotiation and its signature of the text. If this shift is understandable given the international context and the crisis met by multilateral non-proliferation and disarmament, it could nevertheless have a detrimental impact on the country’s nuclear international policy. The political and strategic gains it made thanks to this niche diplomacy were the fruit of a proximity with the NWS, and especially Russia and the United States, particularly when it renounced nuclear weapons or implemented the CTR Programme. As one of the many voices promoting the Ban Treaty against the interest of nuclear states, it may end up losing its proximity with NWS and its relative importance as a key interlocutor on these issue may therefore diminish. The problem for Astana will probably be that channeling its various interests into a coherent diplomacy may become increasingly complex. Economically, Kazakhstan should position itself in favor of developing nuclear energy worldwide, but this may enter in contradiction with its emphasis on the health and environmental dangers of nuclear energy and may provoke a gap between local communities and state-owned corporations. With regards to strategy and security, the government’s frequent statements according to which deterrence does not bring security must be nuanced by its formal alliance with Moscow. More specifically, Astana should consider to what extent its signature of the TPNW is compatible with leasing part of its territory to Russia, which is using it as testing grounds for nuclear-carrying ballistic missiles. This question of the lease of the sites of Kasputin Yar, Sari Shagan (and to some extent Baikonur) is even more problematic as local populations and NGOs are pushing for a change of policy because of the environmental damage made to the region because of the testsArman Kaliyev, “Alarm grows in Kazakhstan as Kremlin boasts success in recent missile tests,” Caravanserai, April 6, 2018.. Public protests have also been organized against new projects of setting Russian testing grounds in KazakhstanFarkhad Sharip, “Public Protests Against Russian Military Presence Mounting in Kazakhstan,” Eurasia Daily Monitor, vol.14, n°145, November 9, 2017.. Politically, the Kazakhstani diplomacy, characterized as “multi-vector” since the independence and relying on close relationships with Russia, but also China and the United States, especially to encourage foreign investments, means that it is interacting with the three most powerful NWSMichael Clarke, “Kazakhstan’s Multi-vector Foreign Policy: Diminishing Returns in an Era of Great Power “Pivots”?”, The ASAN Forum, April 9, 2015.. To keep good relations with all three powers, Astana has long pursued a balanced approach of the nuclear global order by insisting on the importance of disarmament, but also non-proliferation and civilian use of nuclear energy. But with the recent shifts observed after the adoption of the Ban Treaty, and with the declining urgency of projects such as the CTR in Central Asia, it is not sure that the country will be able to preserve its relevance for NWS while maintaining a strong commitment in favor of disarmament. Thus, its “self-esteem” interest in this field may eventually come in contradiction with the other drivers of its foreign policy. As demonstrated by this paper, the development of a nuclear niche diplomacy answers a plurality of interests and can bring a country enhanced security, political standing, economic power but also boosts its self-esteem. The case studied show that in Kazakhstan, these four incentives were at the roots of the diplomatic endeavors. For Astana, this niche diplomacy brought positive returns, even if different actors may have benefited from the initiatives (state or non-state). As seen, the efficiency of its diplomacy was boosted thanks to the legitimacy of the national actors on all nuclear themes, which include strategy and disarmament, non-proliferation, nuclear security and safety but also the peaceful use of nuclear energy. Choosing a niche diplomacy in coherence with its assets but also its interests, Astana has so far benefited from its choice in terms of security, standing, economy but also self-esteem given that its officials admitted that this policy had been instrumental in shaping the country’s national identity. The transformation of the global nuclear order may put a strain on this policy, and yet, the challenges of the present time (persistence of nuclear testing in North East Asia, rising tensions between the Russia and the West, nuclear maturity of China, emergence of new civilian nuclear stakeholders, both as recipient and sellers of nuclear material and technologies…) are such that if well-articulated and adaptive, it may keep its relevance and remain an asset for the influence of Kazakhstan worldwide.